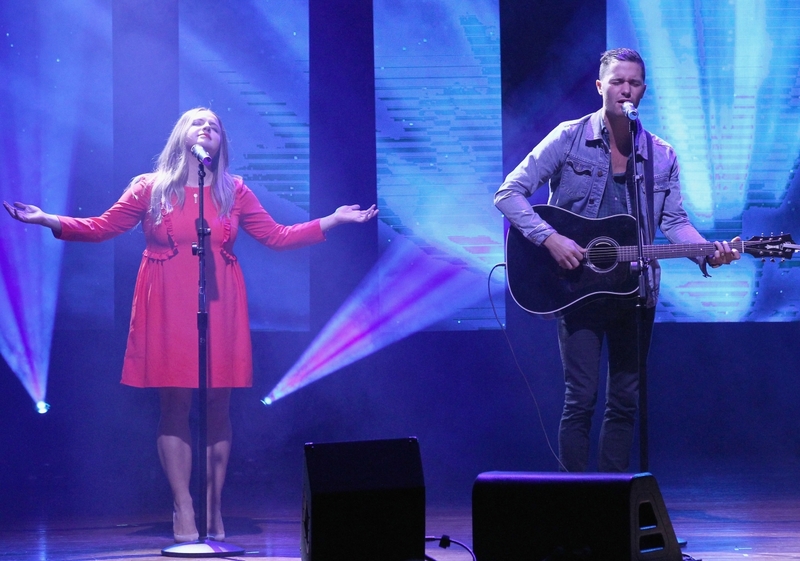 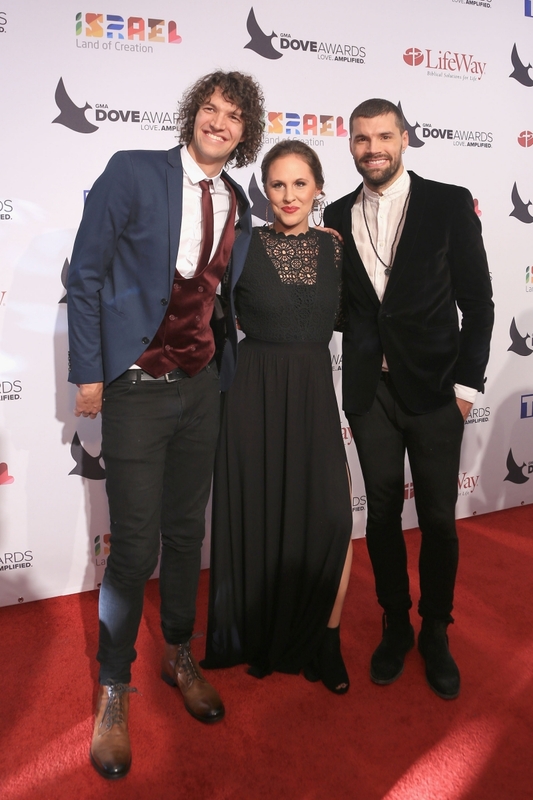 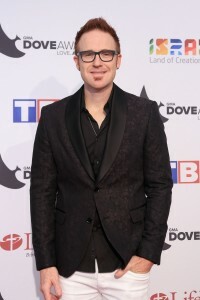 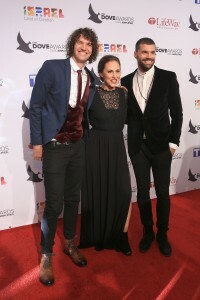 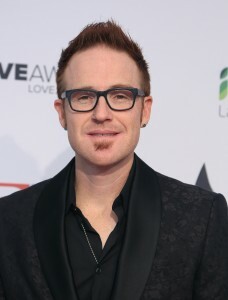 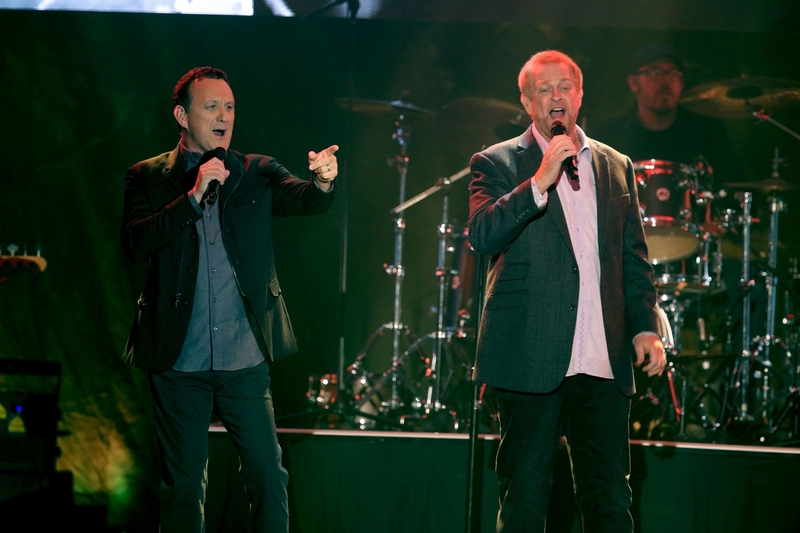 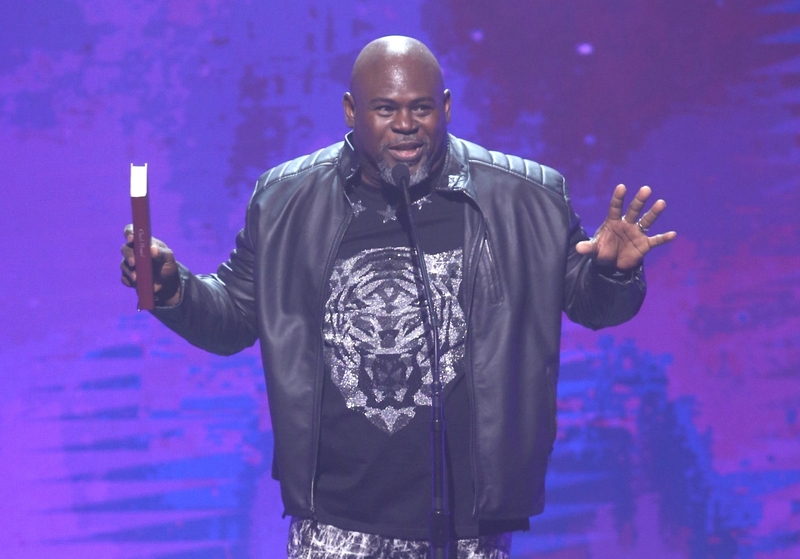 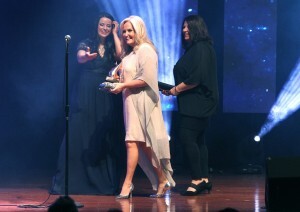 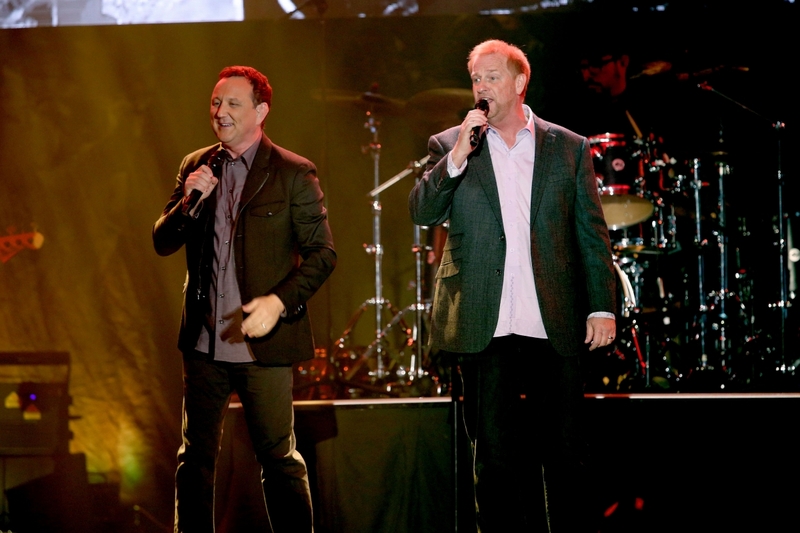 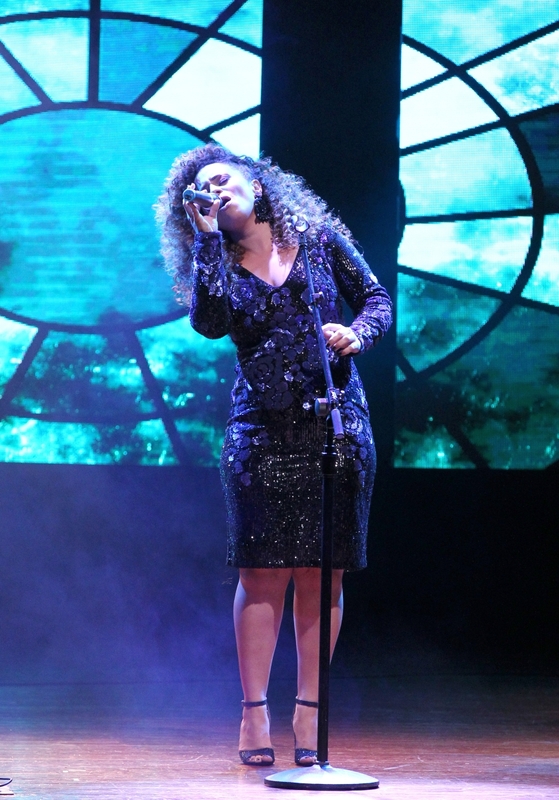 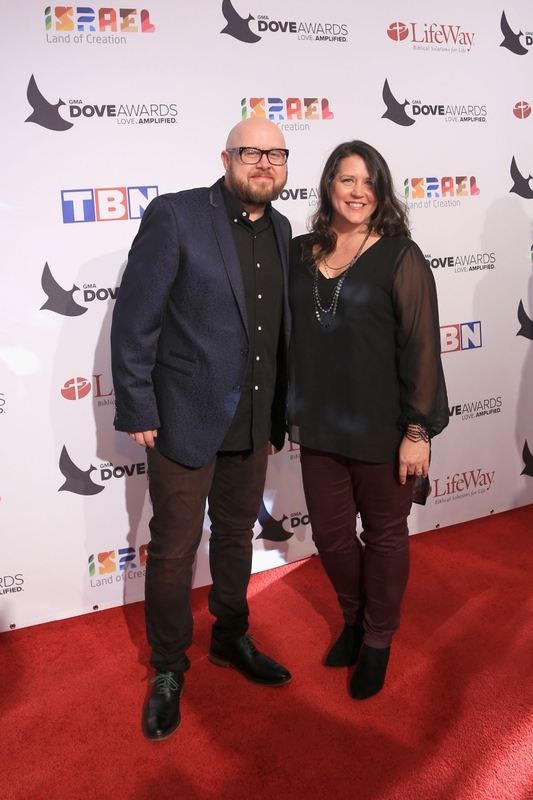 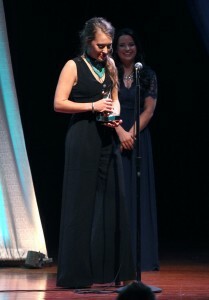 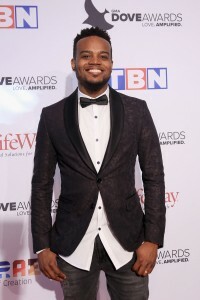 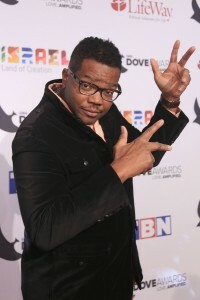 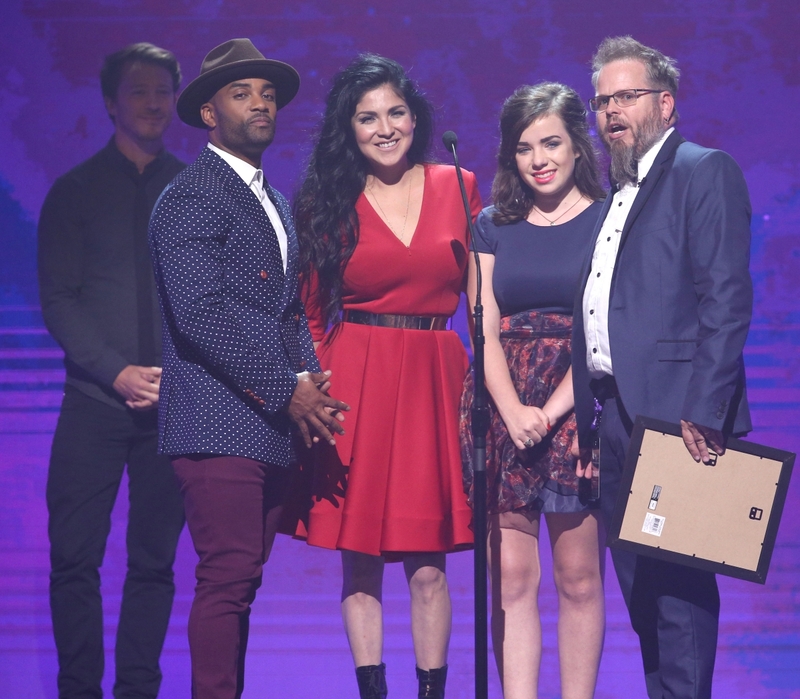 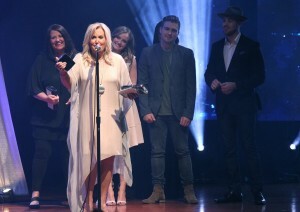 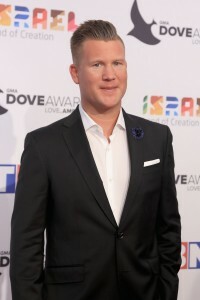 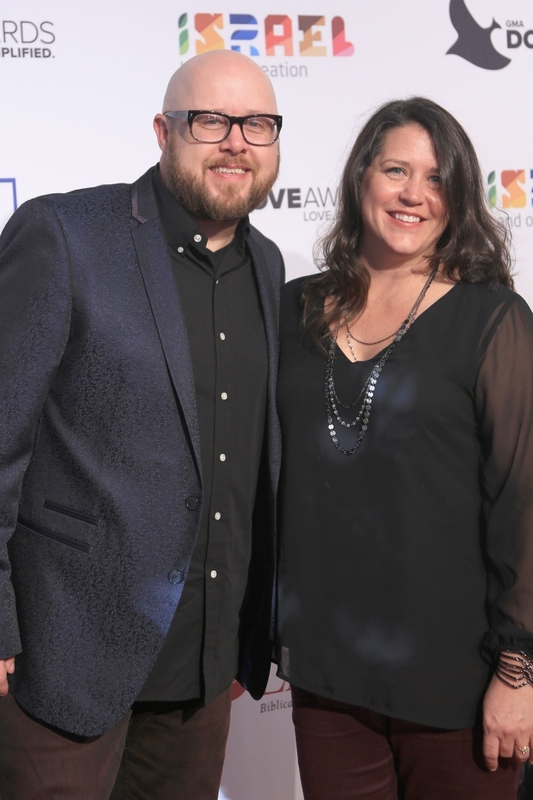 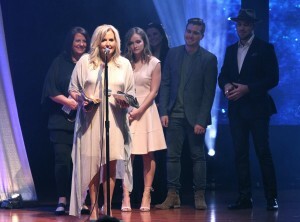 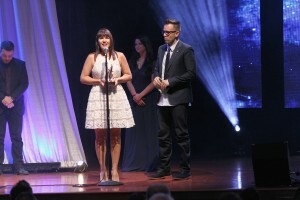 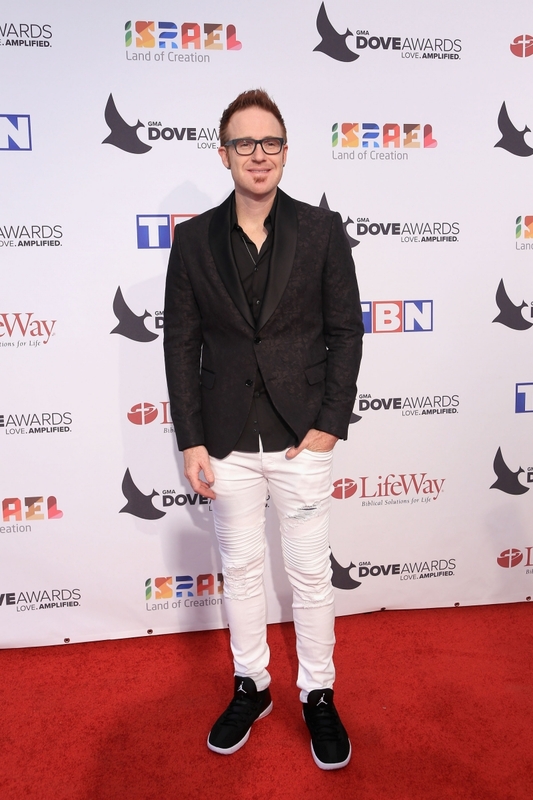 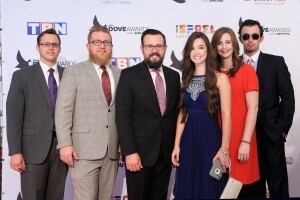 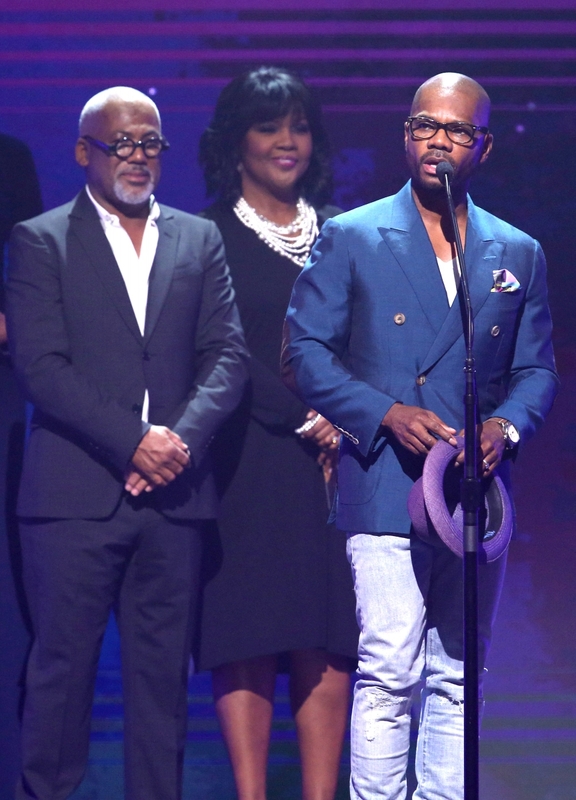 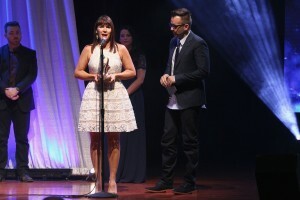 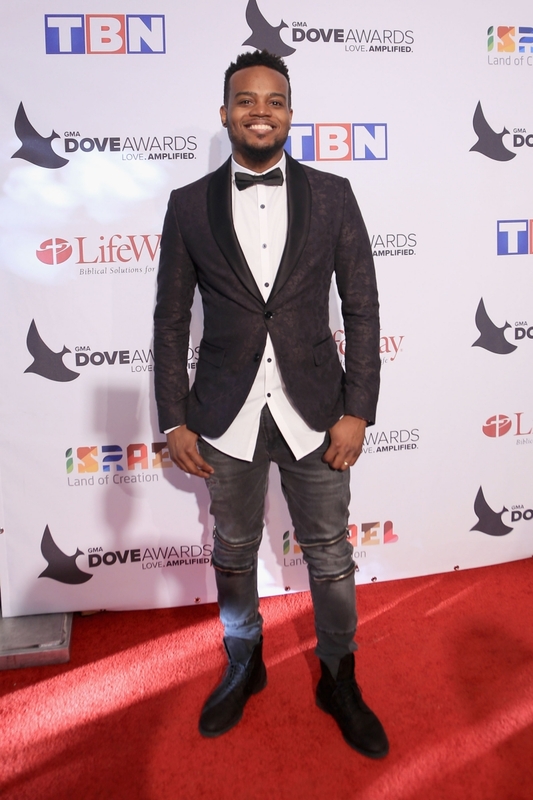 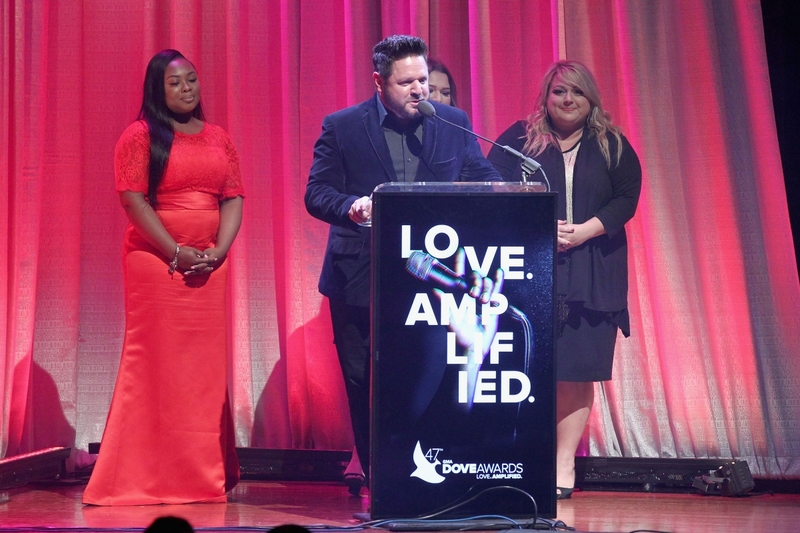 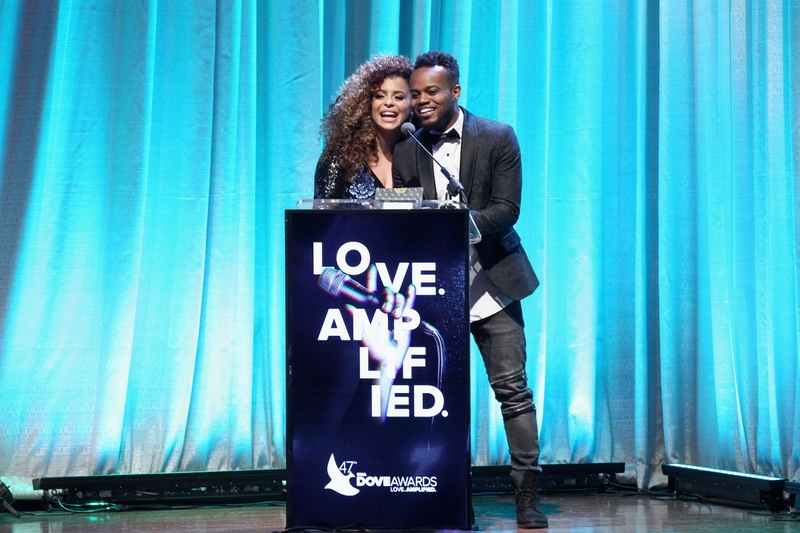 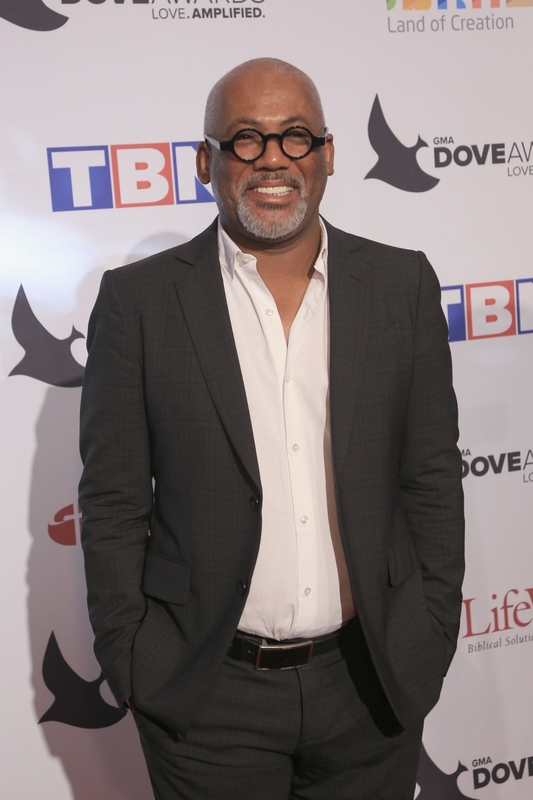 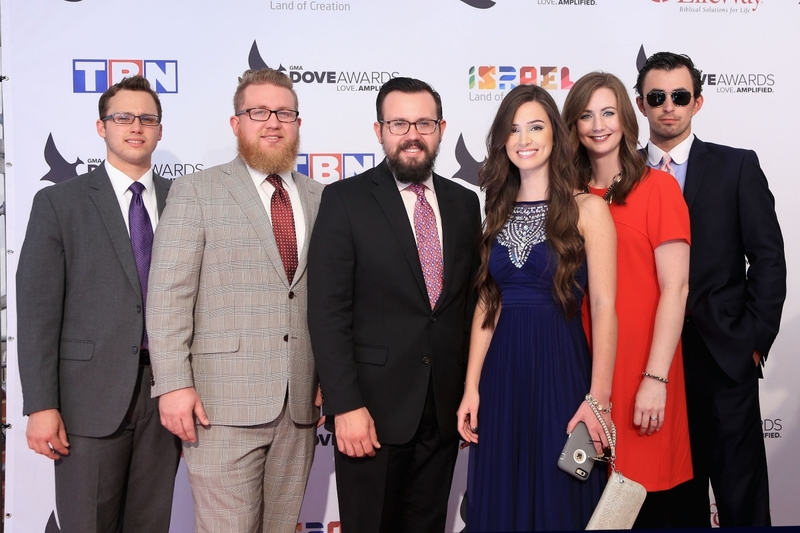 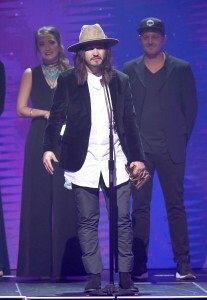 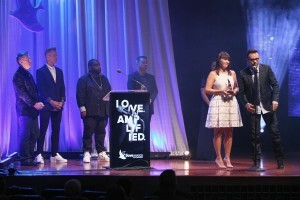 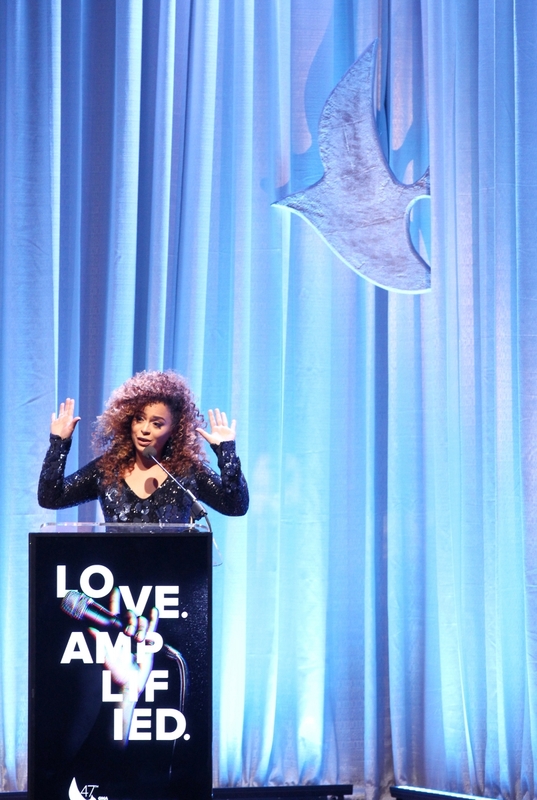 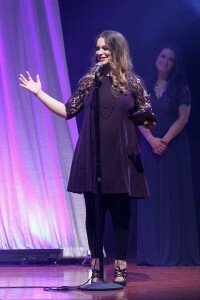 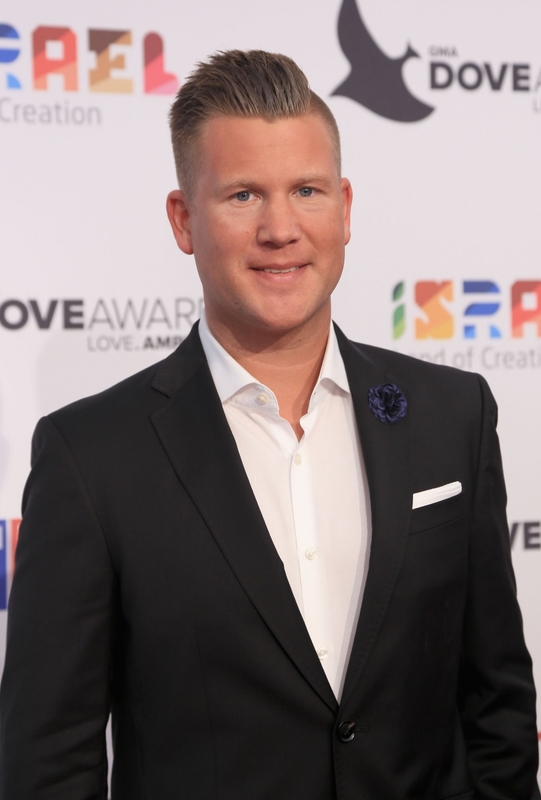 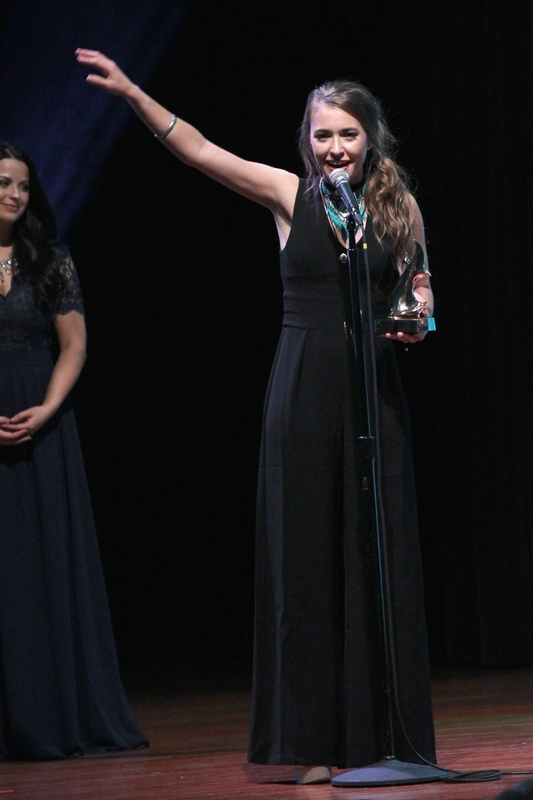 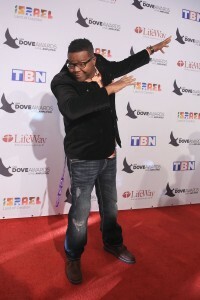 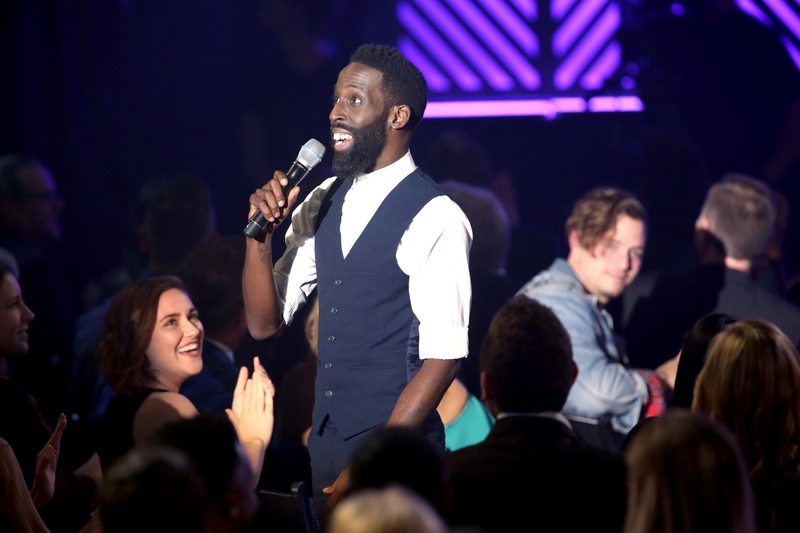 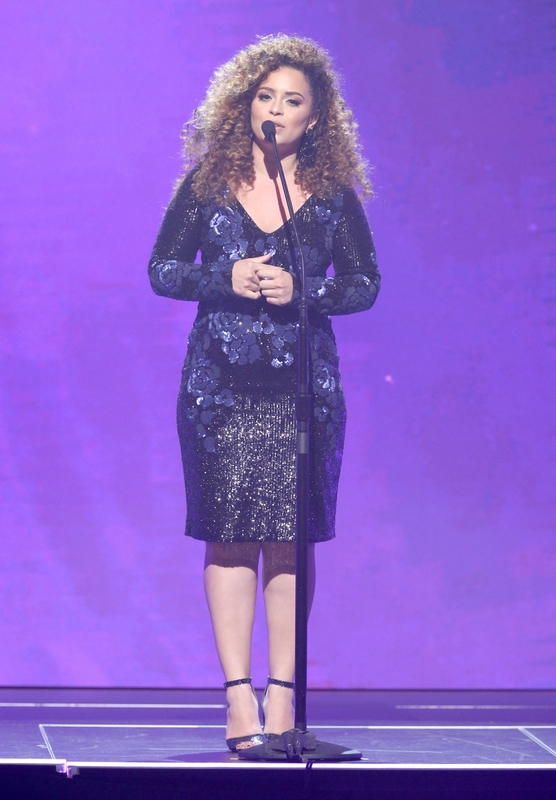 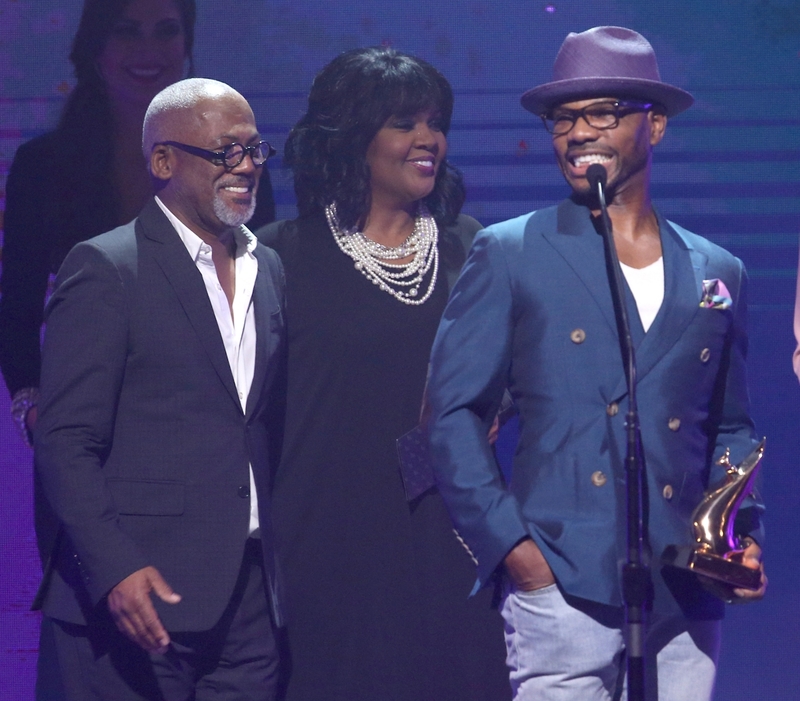 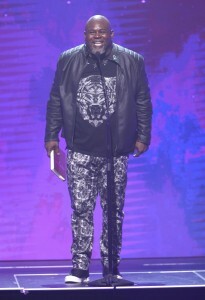 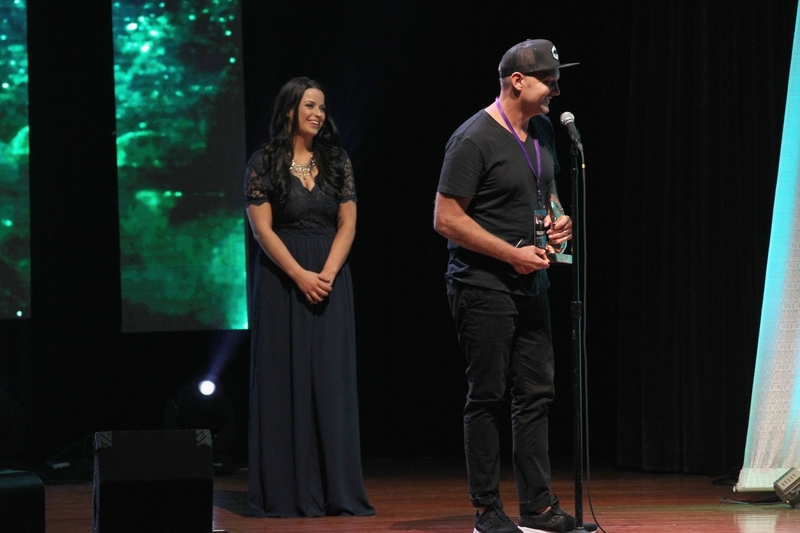 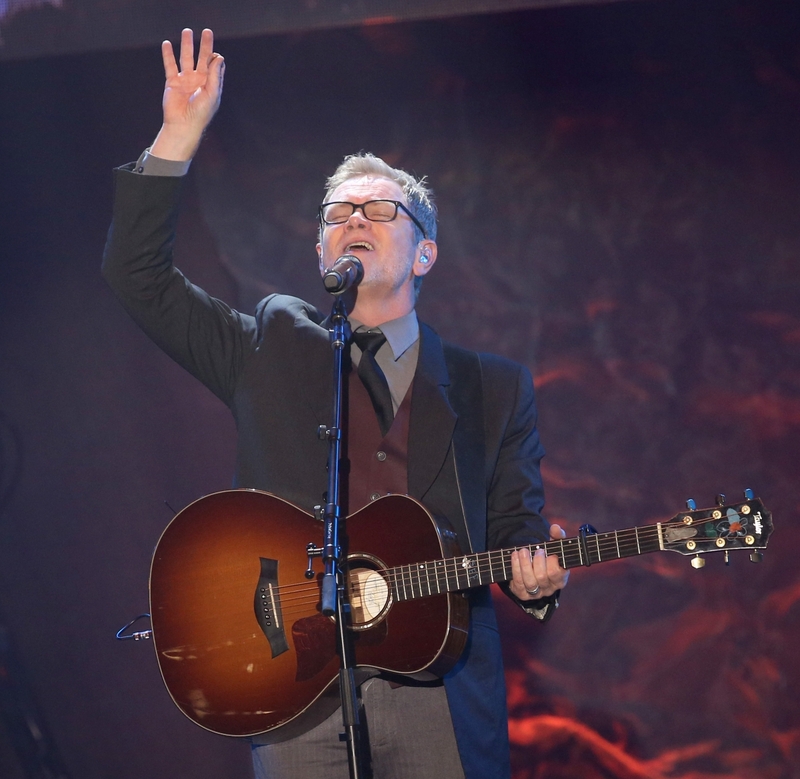 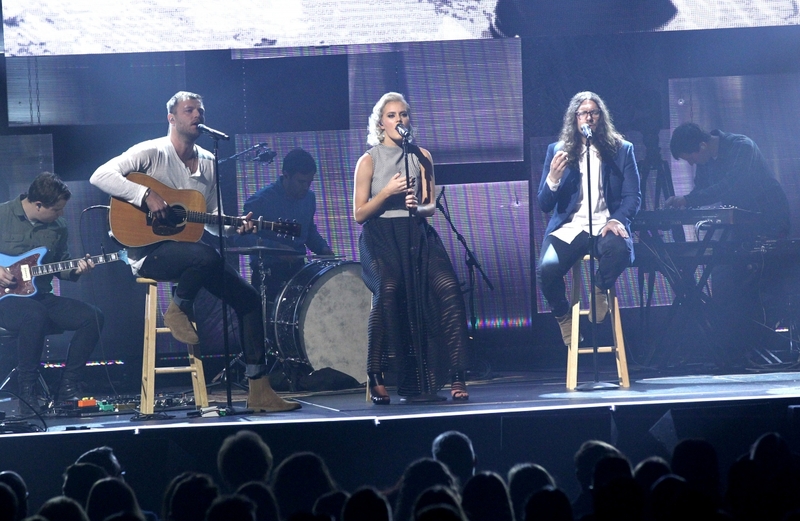 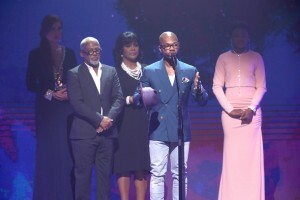 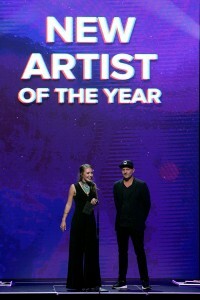 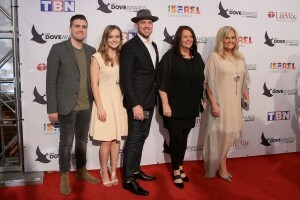 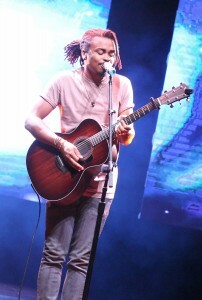 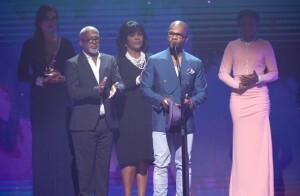 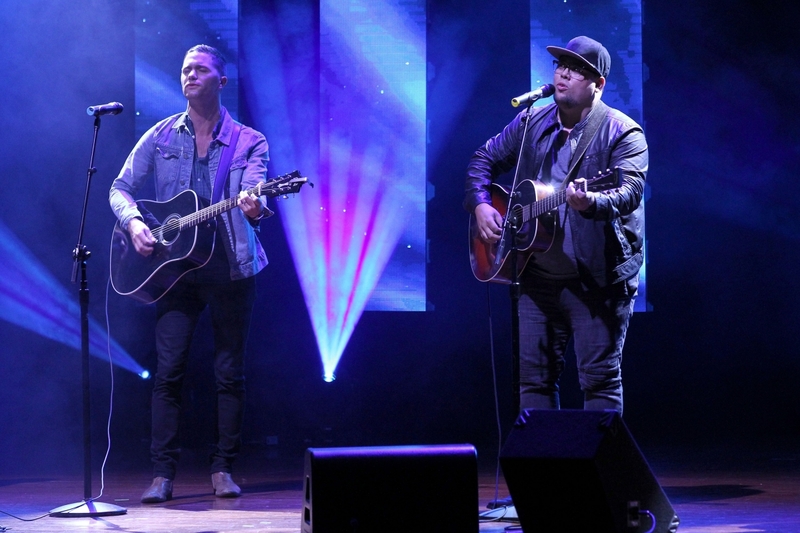 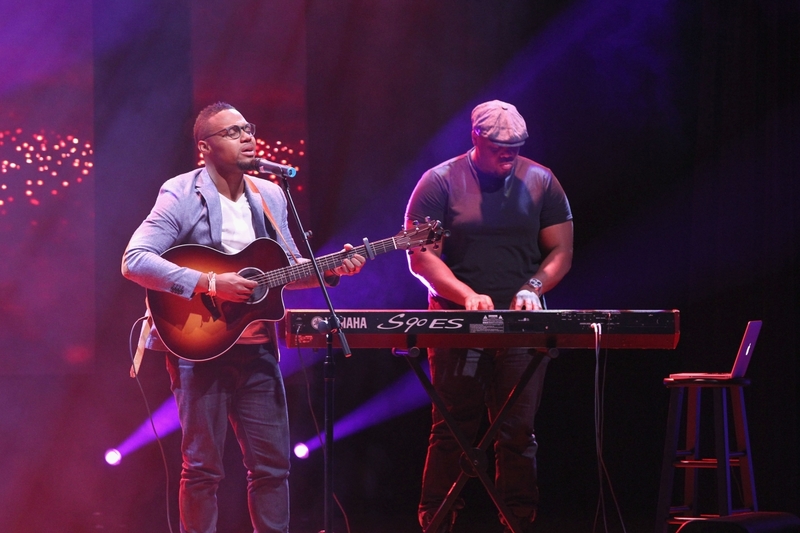 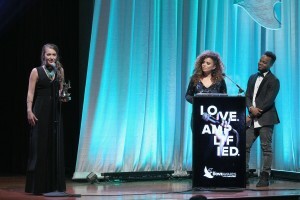 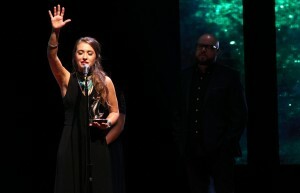 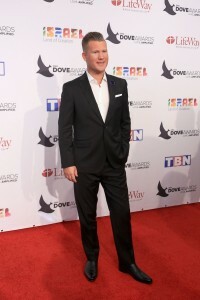 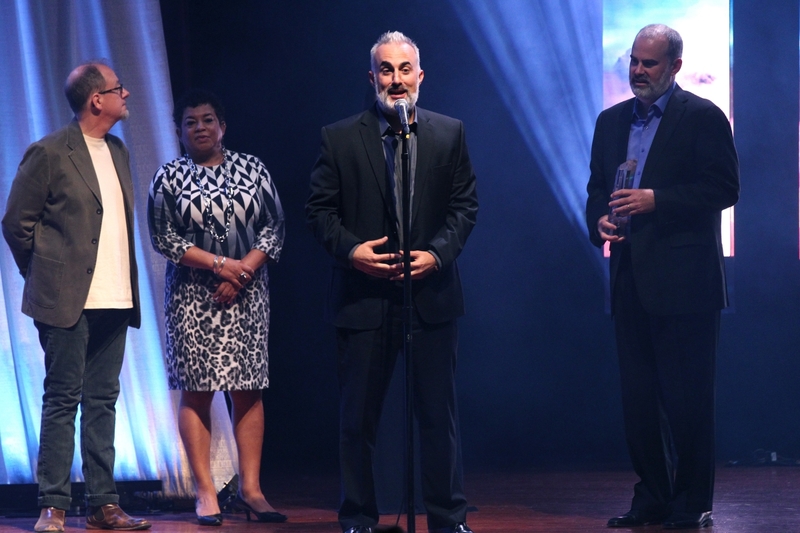 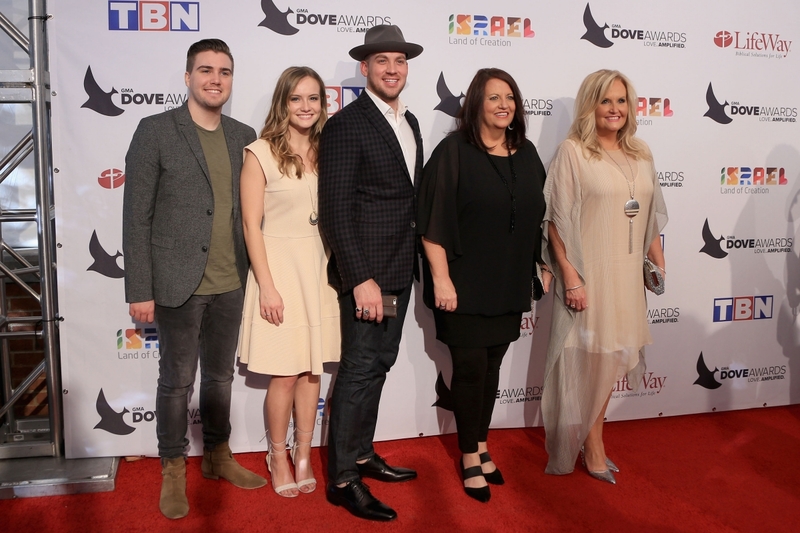 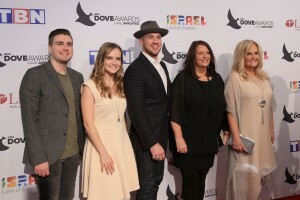 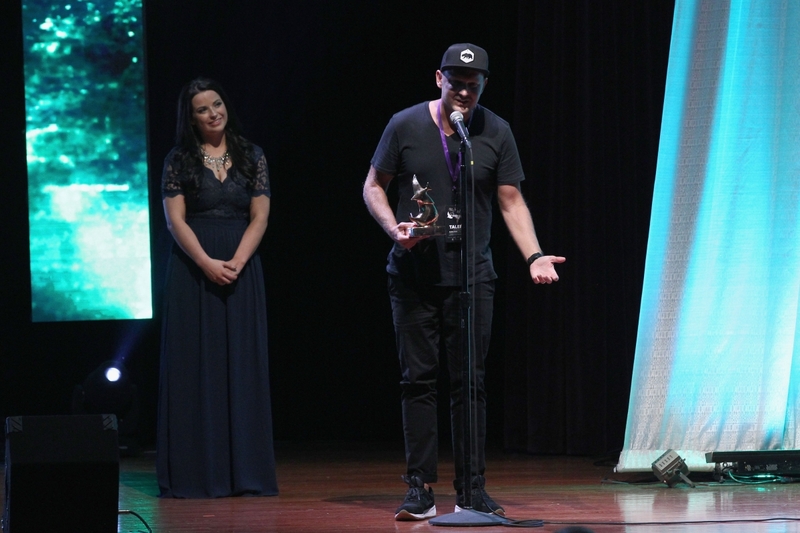 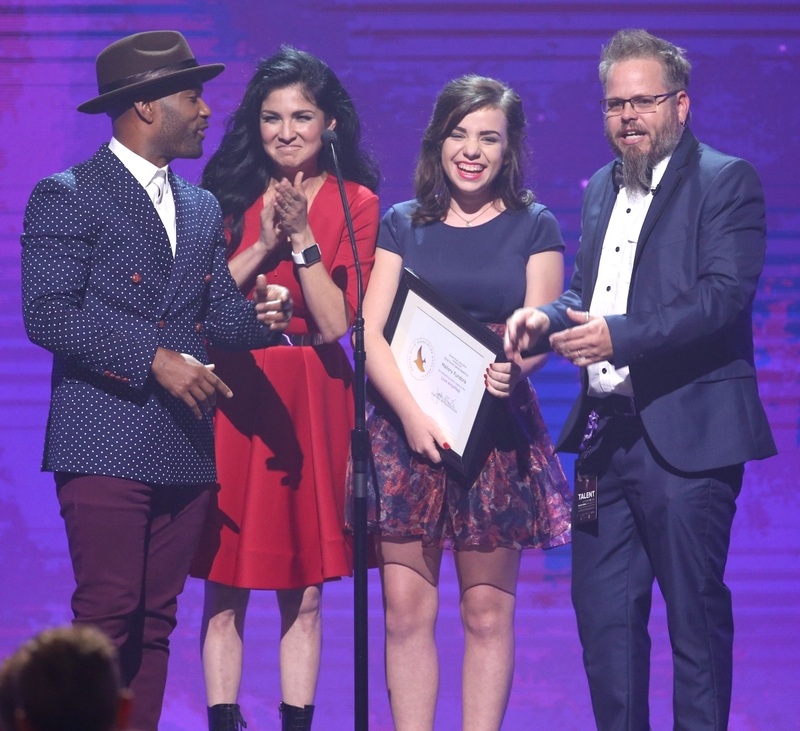 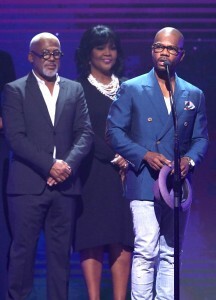 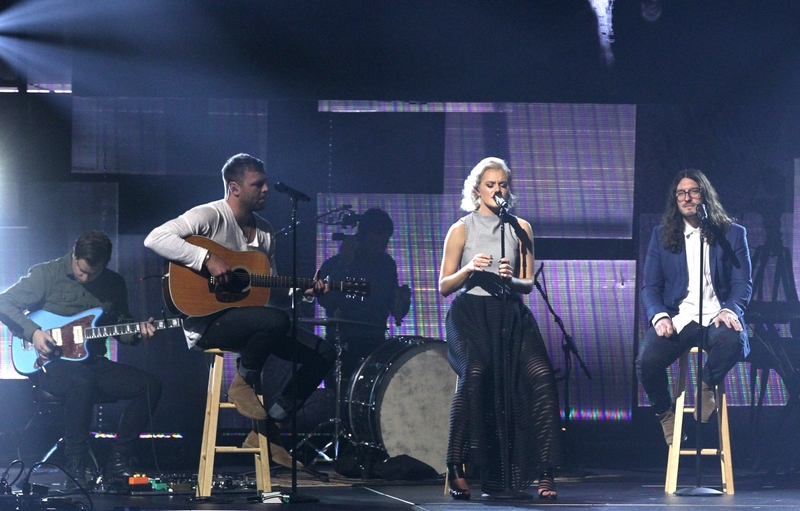 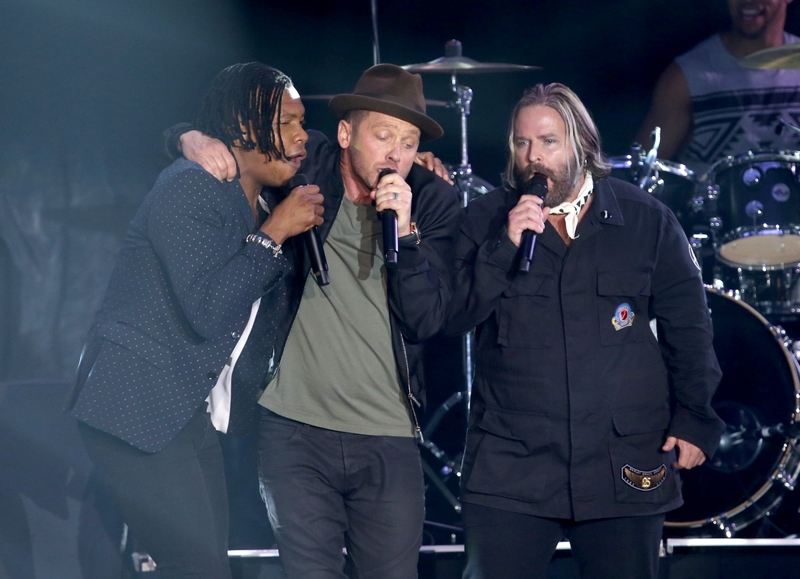 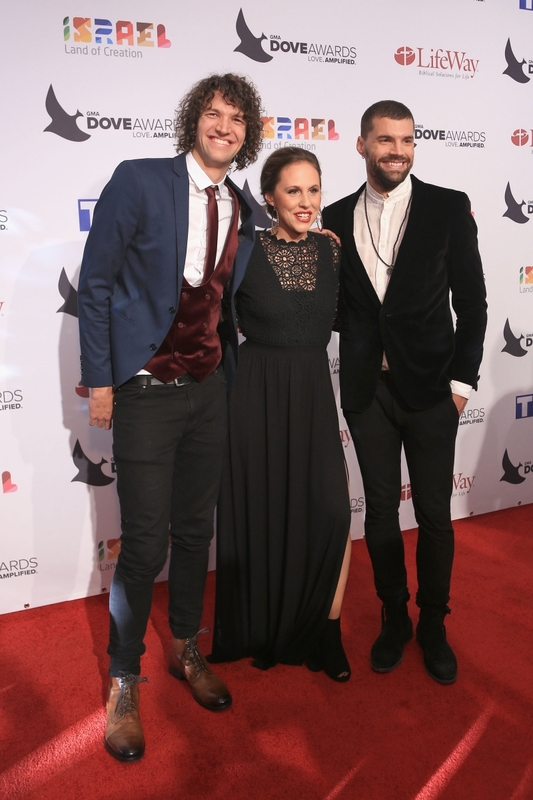 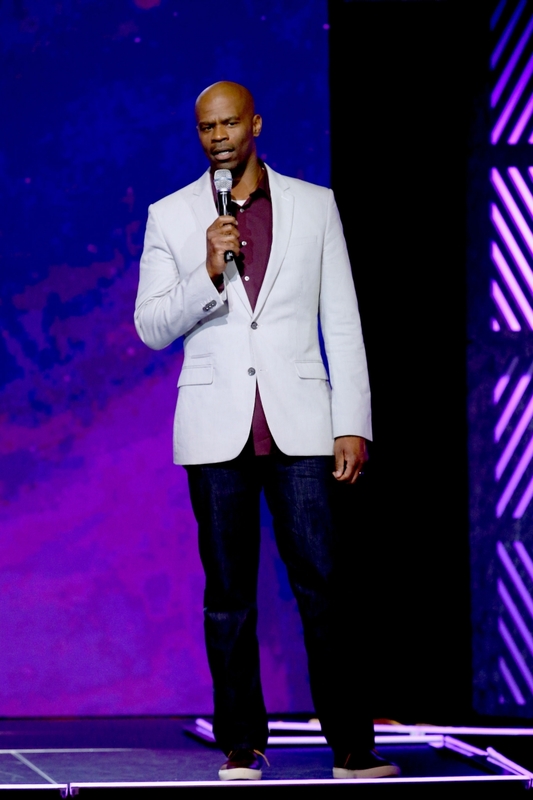 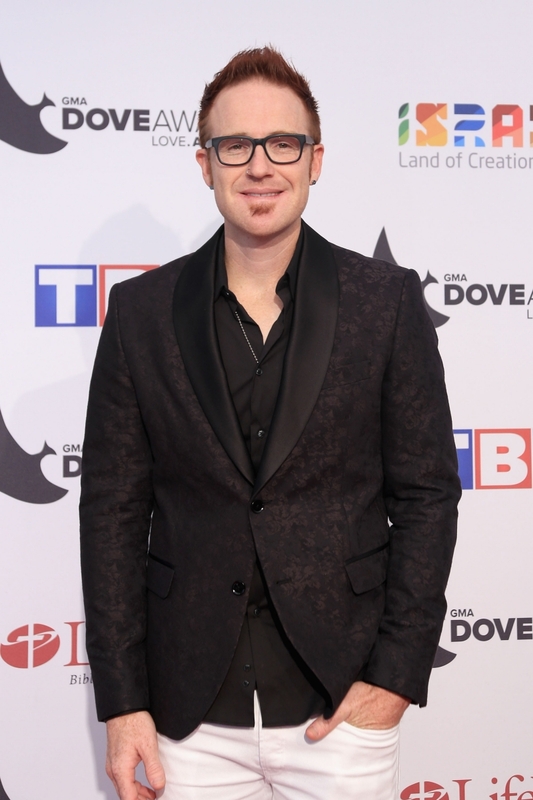 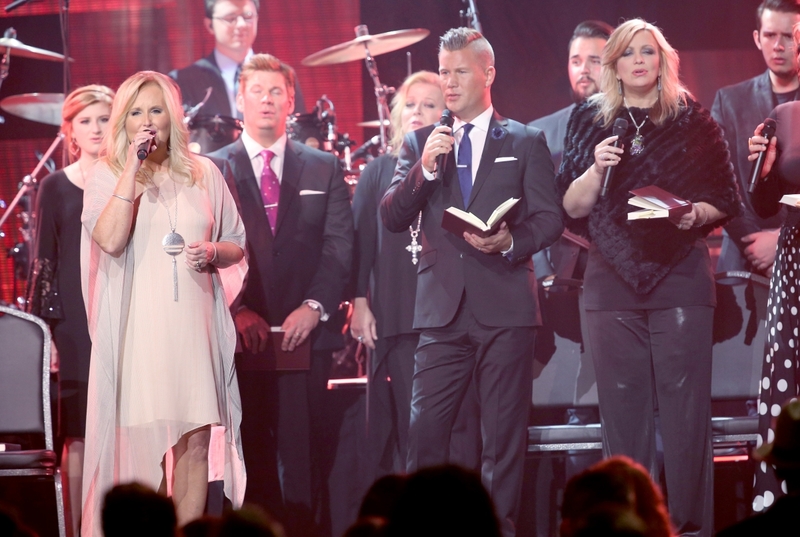 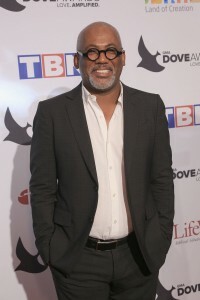 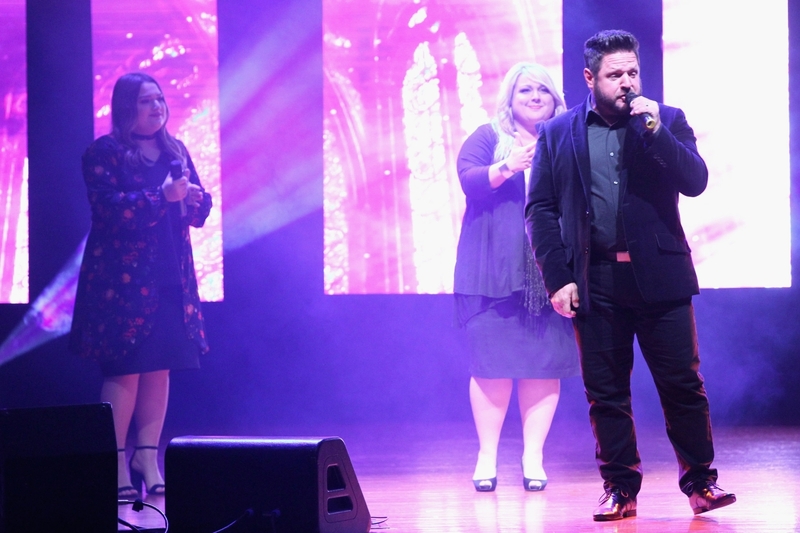 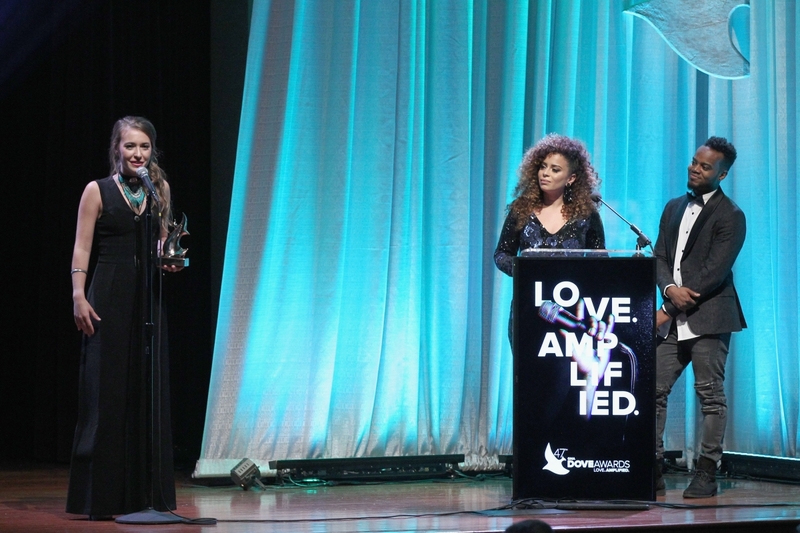 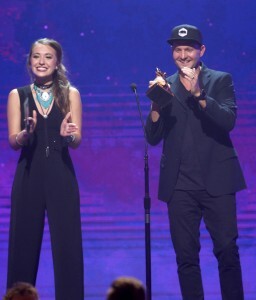 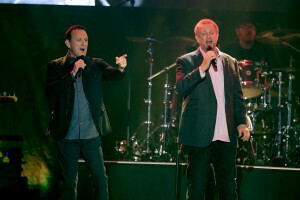 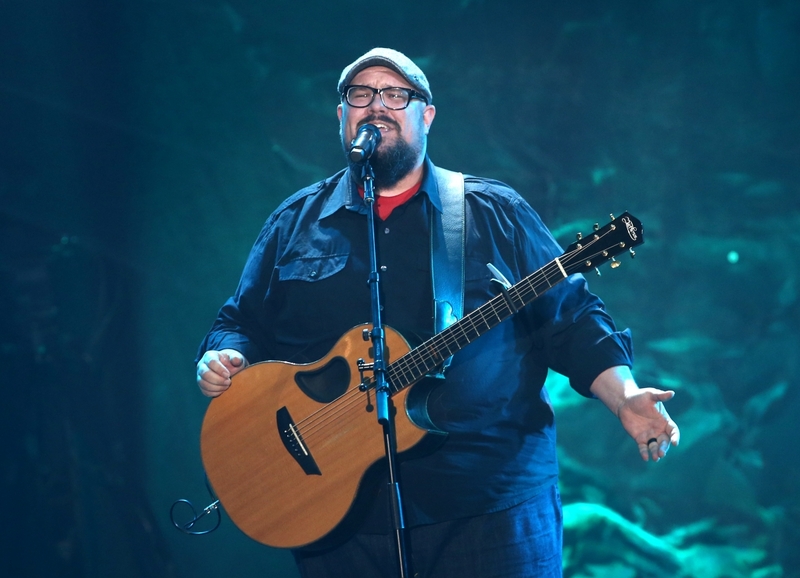 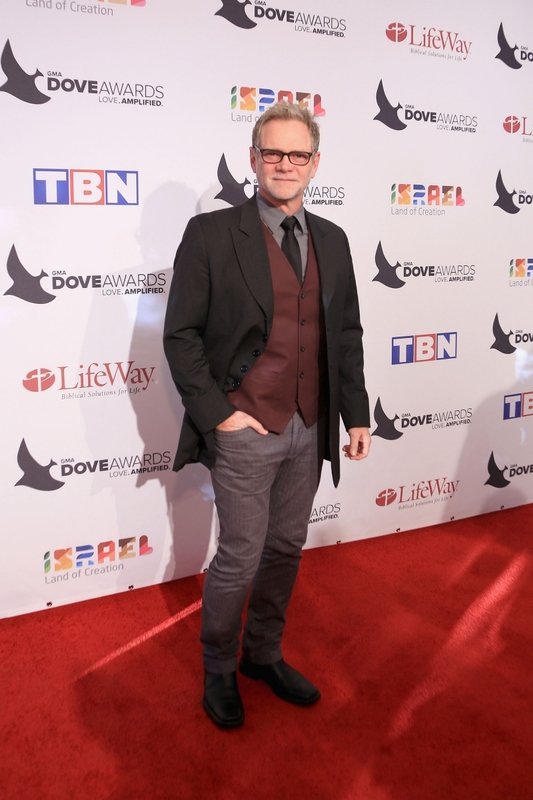 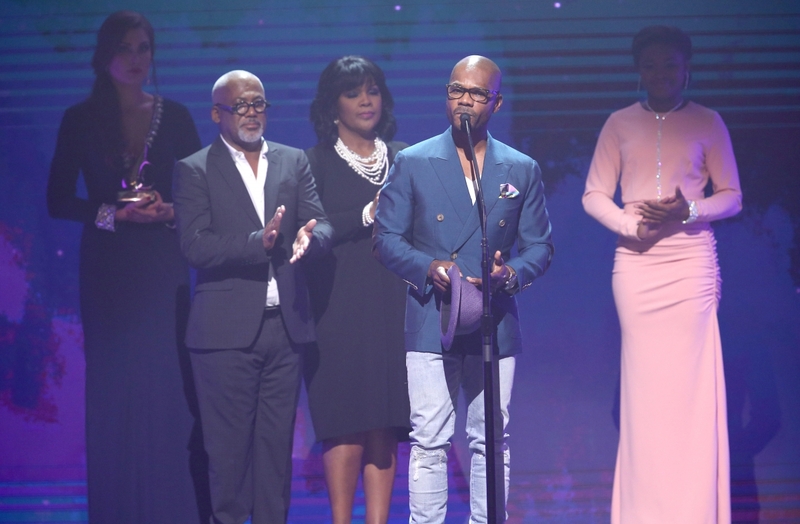 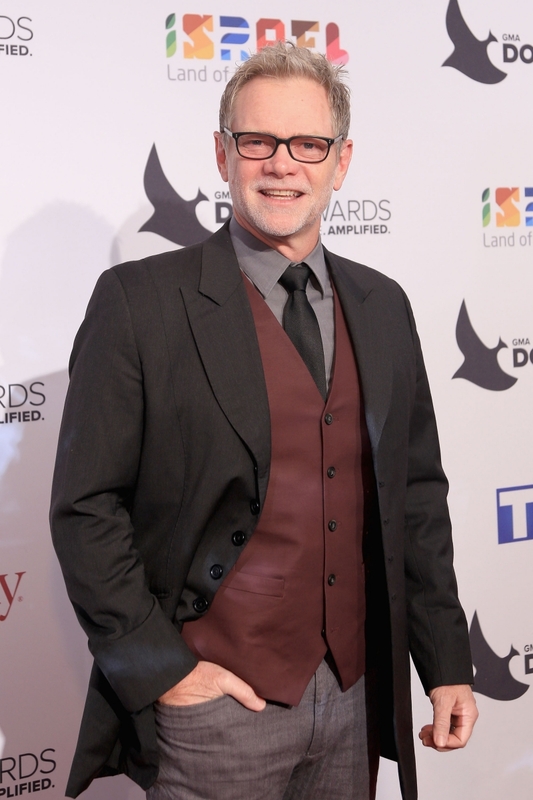 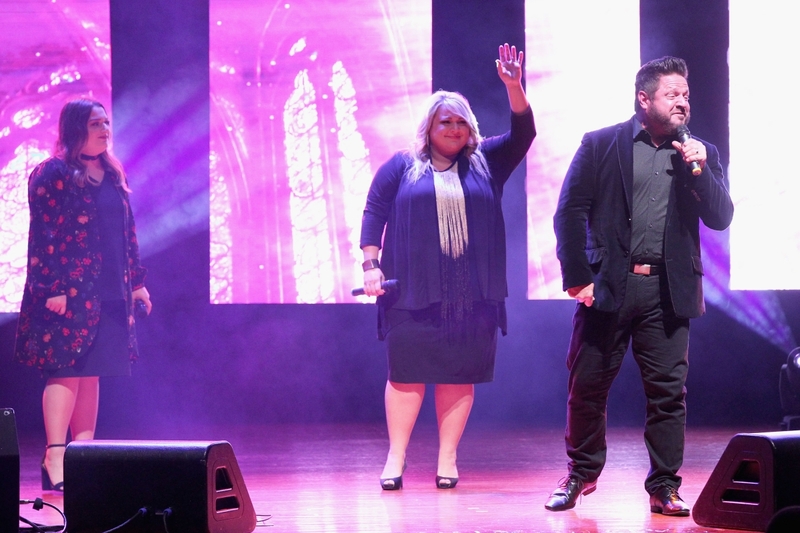 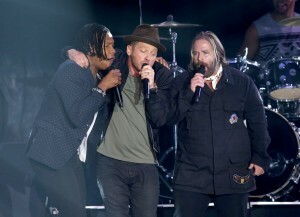 The 47th Annual GMA Dove Awards were held at Lipscomb University’s Allen Arena. 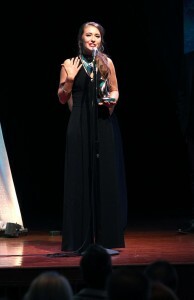 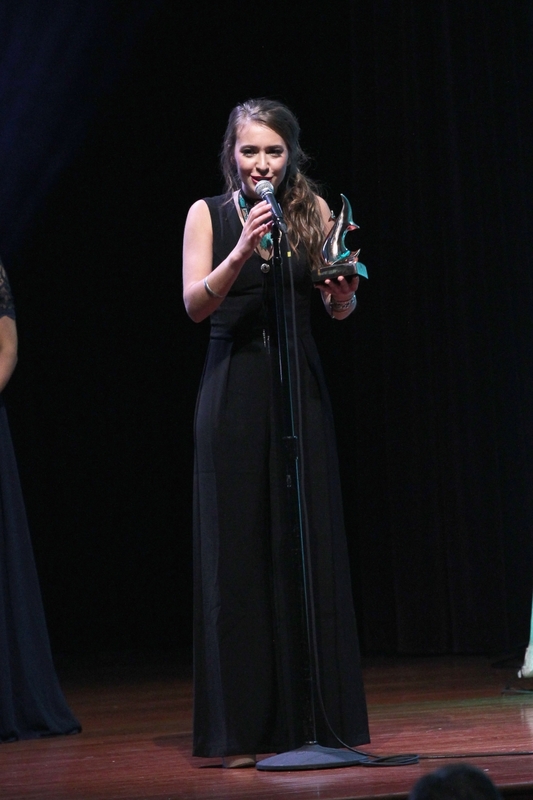 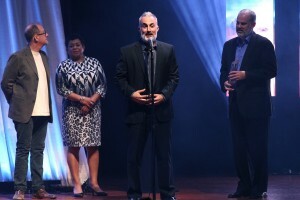 Awards were handed out in 44 categories plus special award categories. 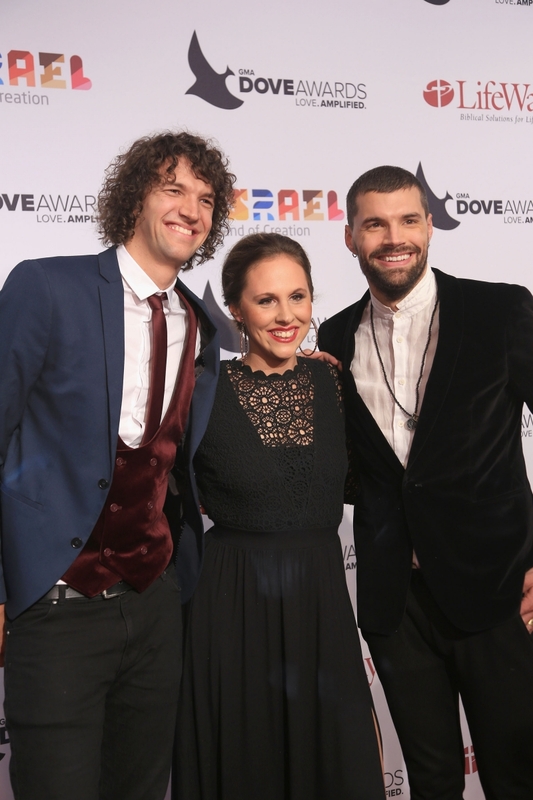 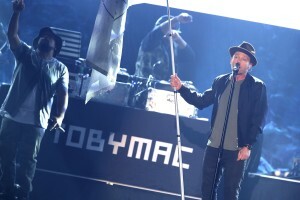 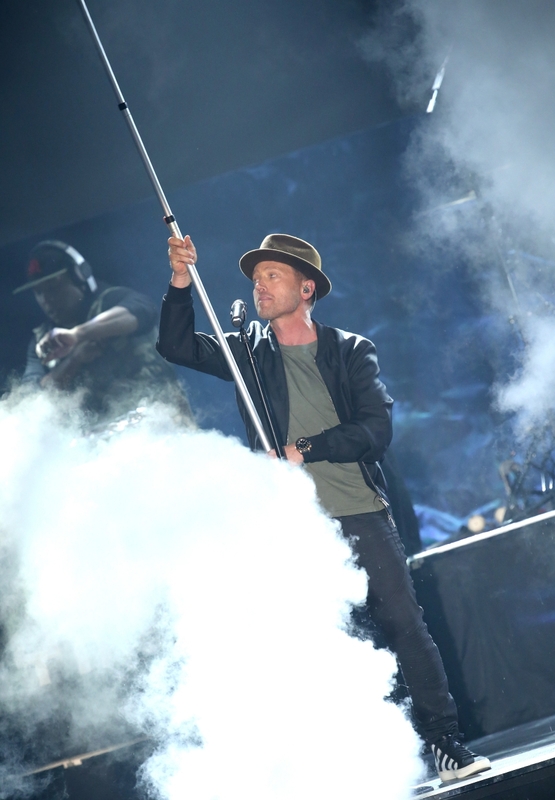 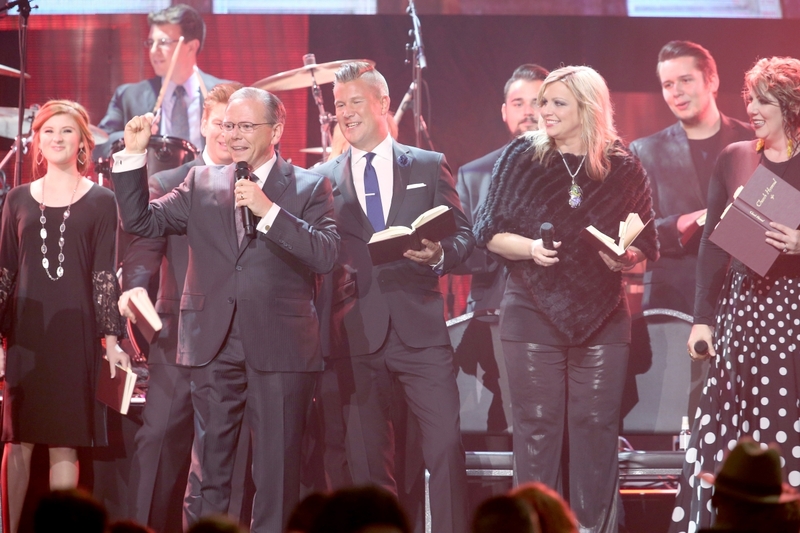 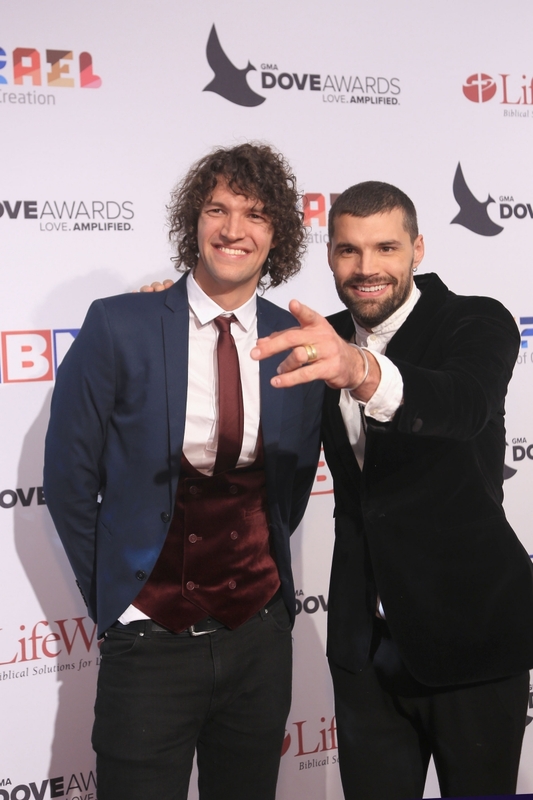 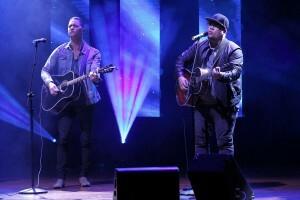 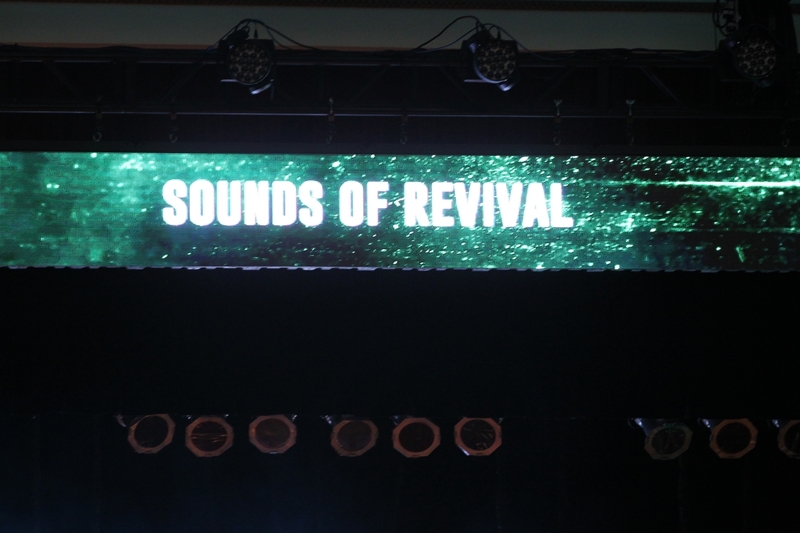 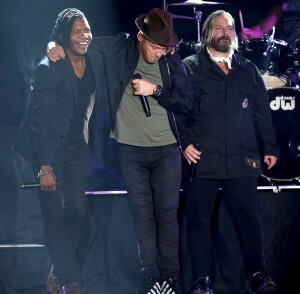 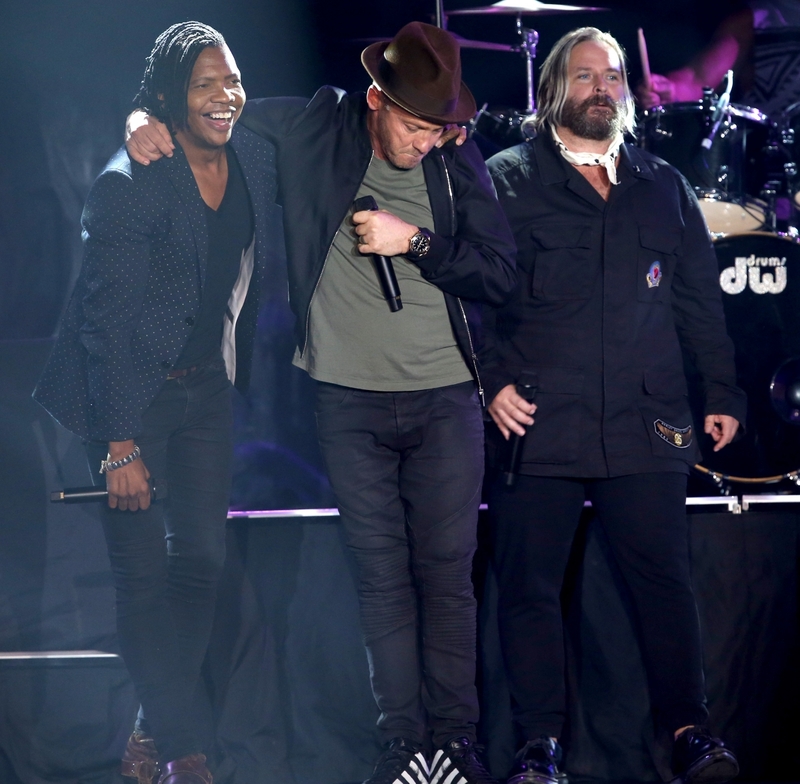 The sold-out show was hosted by for KING & COUNTRY and Tye Tribbett and featured performances by TobyMac, Tamela Mann, Hillsong UNITED, Matthew West, Natalie Grant and more. 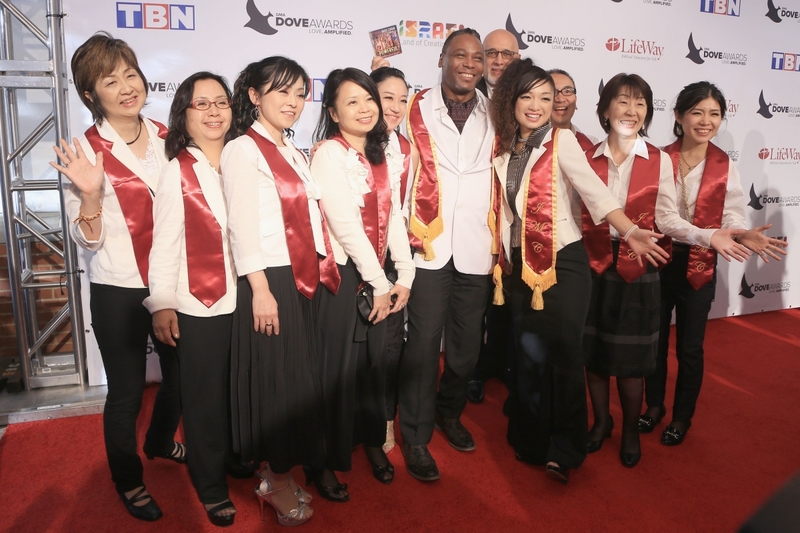 The show will air on TBN (Trinity Broadcasting Network) on Sunday, October 16th at 7 p.m. PST. 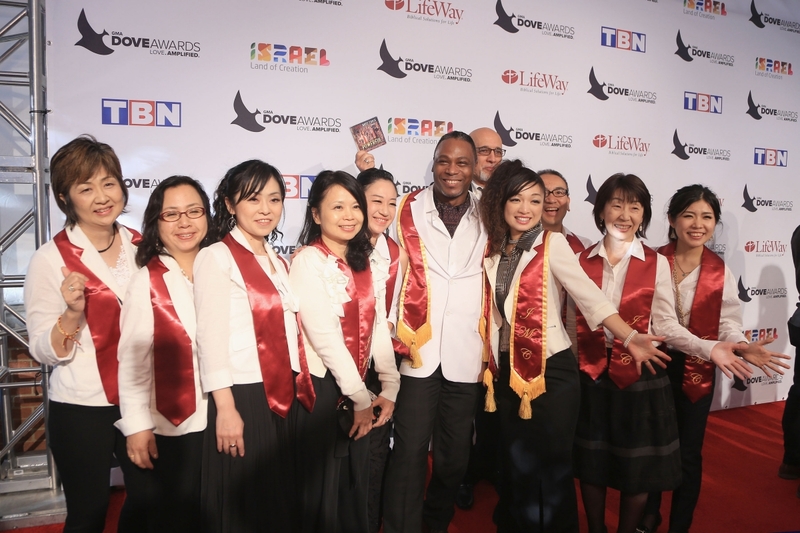 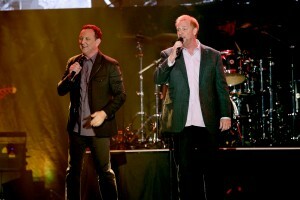 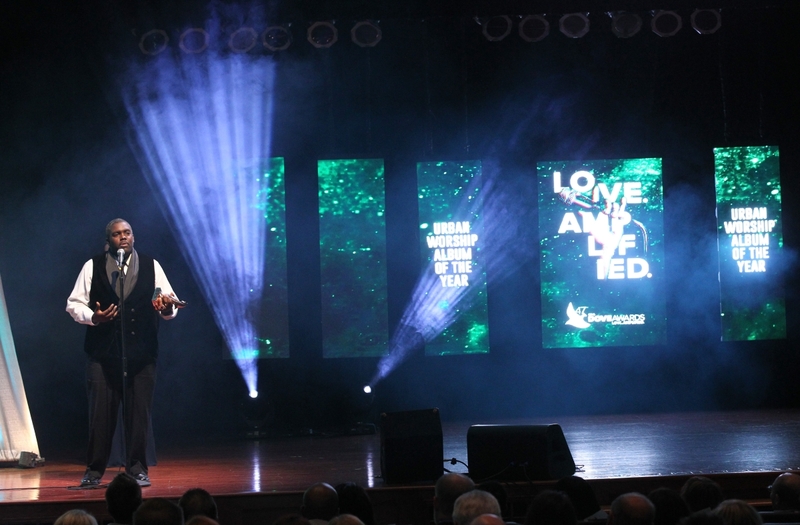 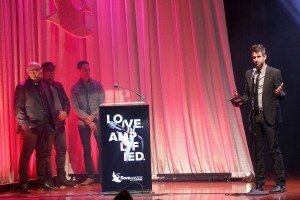 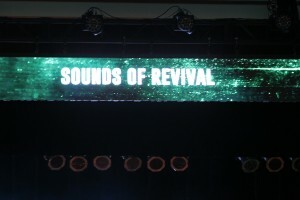 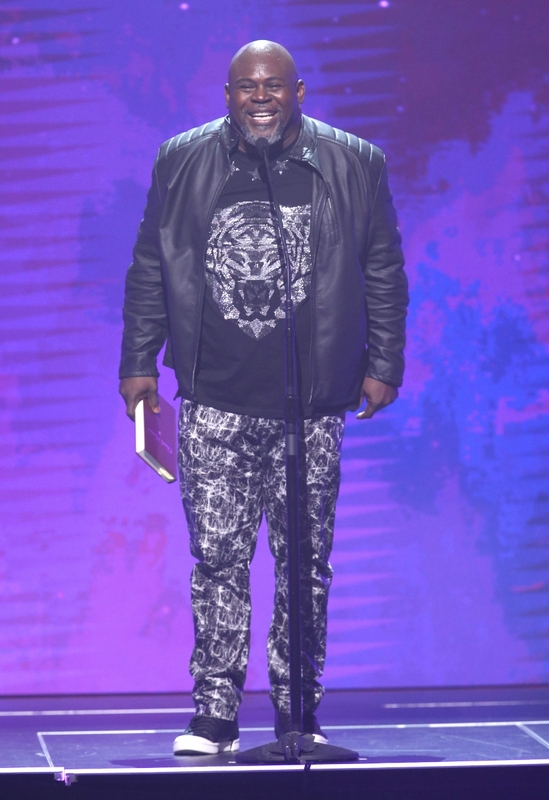 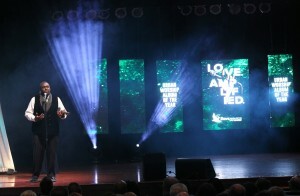 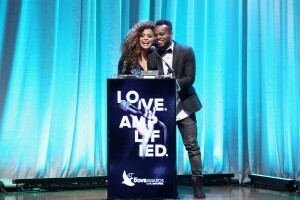 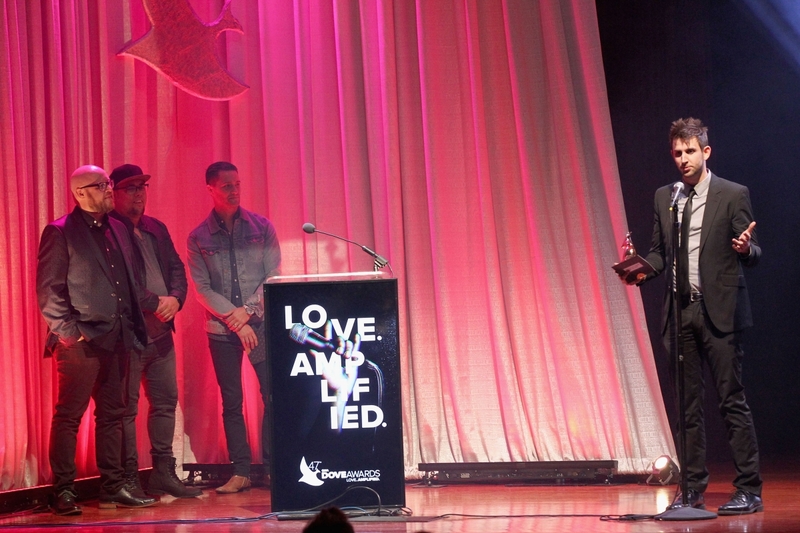 For further information, please visit, www.doveawards.com. 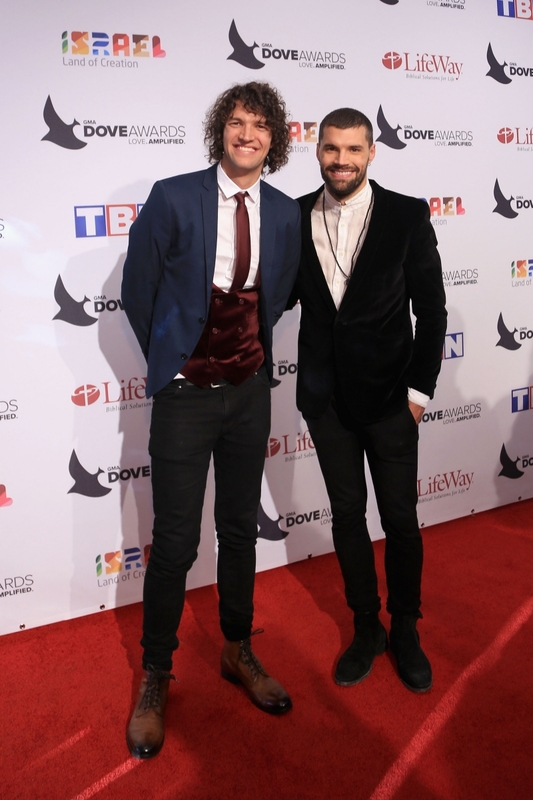 After meeting for the first time today, show hosts for KING & COUNTRY and Tye Tribbett seamlessly entertained the hall with quick wit and captivating testimony. 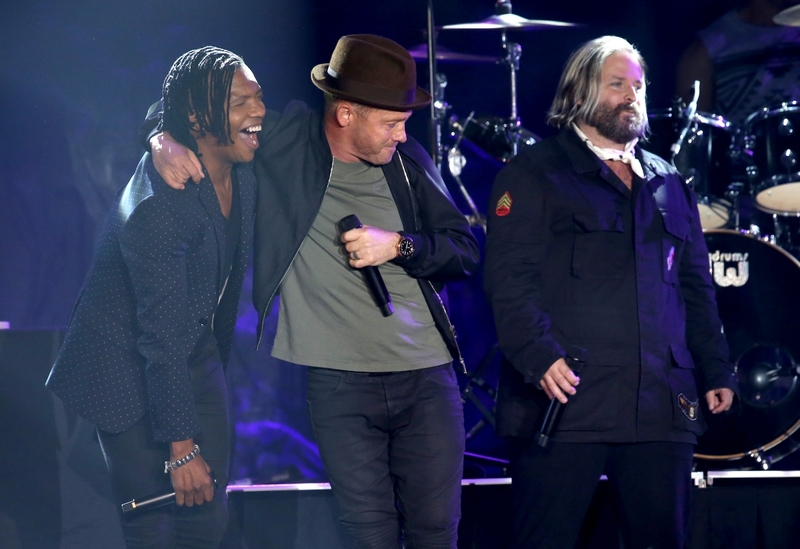 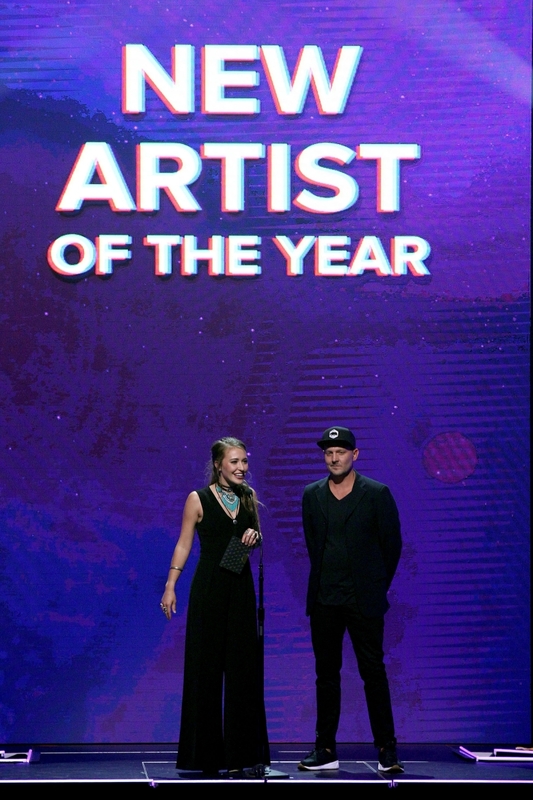 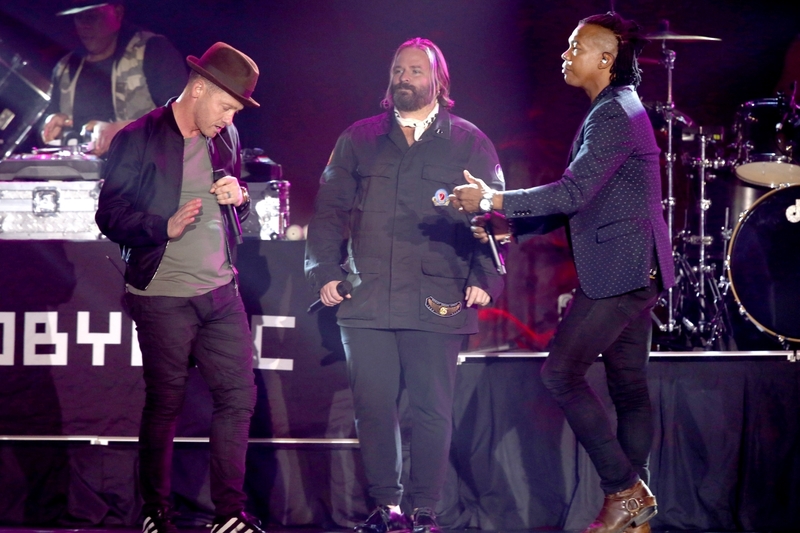 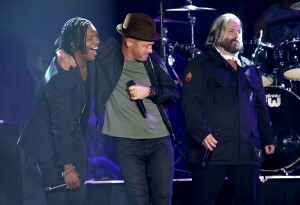 Highlights of the evening included a DC Talk reunion performance and Chris Tomlin accepting the SoundExchange Digital Radio Award. 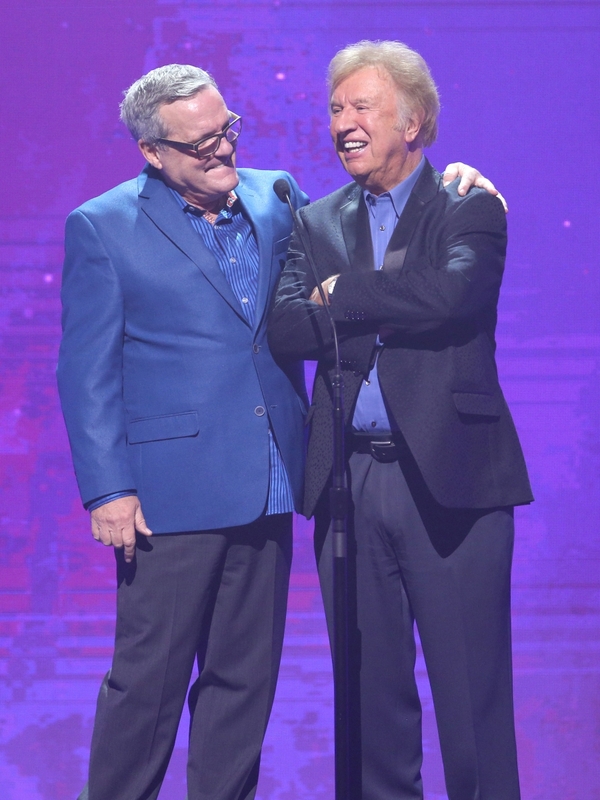 With thirty global networks, the Trinity Broadcasting Family of Networks is the world’s largest faith-and-family television group, airing a broad range of church and ministry programming, Christian music, family-friendly movies, children’s programming, and shows for teens and young adults 24 hours a day to every inhabited continent via 82 satellite channels and thousands of television and cable affiliates. 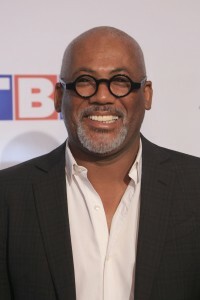 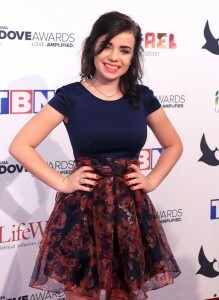 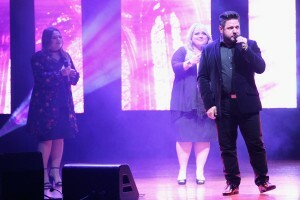 In addition, TBN’s most popular global networks are available on computers, smart phones, and other mobile devices, and over 40,000 entertaining and inspirational On-Demand programs are accessible via TBN’s innovative online network, iTBN.org. To find out more about the Trinity Broadcasting Family of Networks, log on to www.tbn.org.